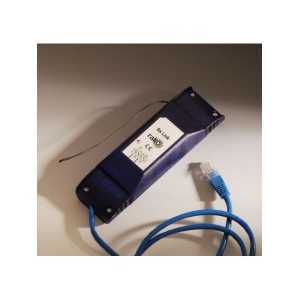 WIRELESS Rack Systems - Akwil Ltd.
WIRELESS Rack Systems There are 8 products. 8 Channel modular dimming rack motherboard. 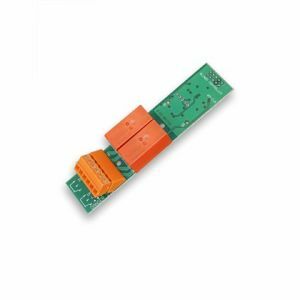 8 individual channel's allow complete flexibility of controlled load when fitted with WMT-400, WML-300, WDA-600, WMS-600 & WMS-CUB control cards (not included). Stackable with other RAK8 units. A four channel dimming rack, designed to be wall mounted in an electrical cupboard. Incorporating the latest dimming technology. Hybrid IGBT design enables leading and trailing edge control of lighting loads, quietly and smoothly. A four channel dimming rack, designed to be wall mounted in an electrical cupboard. Incorporating the latest dimming technology. The dimmer has four separate dimming channels that can control a total of 4800w/4000va of leading edge dimmable lighting loads. A four channel dimming rack, designed to be wall mounted in an electrical cupboard. Incorporating the latest dimming technology. Each of the four channels can independantly control 0-10v, DSI or DALI dimmable lighting loads. 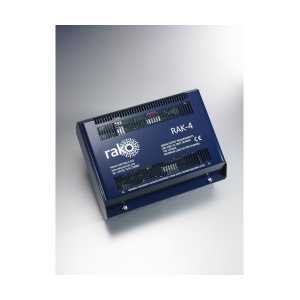 The Rako RAK-4R is a four channel controller which can be used to operate most types of Curtain, Blinds and Screen motors. 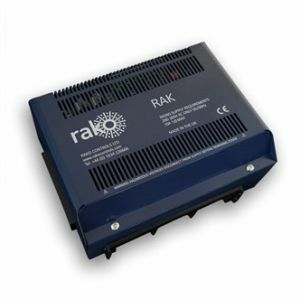 Designed to be the gateway between Rako transmitter devices and the RAK-4 range of dimmer racks.Can only be configured using the Rako RASOFT PC programming software. Interface for integrating Rako systems with IoT enabled devices such as Amazon Echo (Alexa), GoogleHome and Apple HomeKit. Must be used in combination with one of the above Ethernet Bridges. A pluggable module for use with the RAK8-MB to control motorised curtains, screens and blinds, providing open, stop, close functionality. Do you have a question about one or more of our WIRELESS Rack Systems products? Click below to contact us.